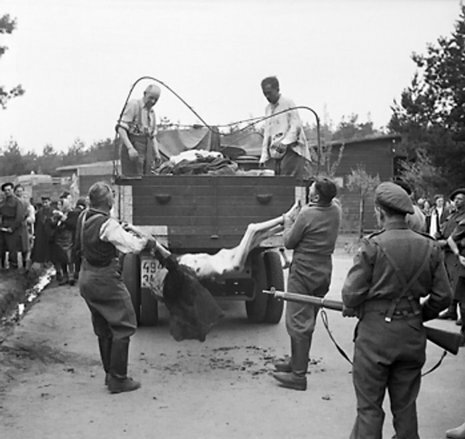 Bergen-Belsen (or Belsen) was a Nazi concentration camp in Lower Saxony in northwestern Germany, southwest of the town of Bergen near Celle. Originally established as the prisoner of war camp Stalag XI-C, in 1943 it became also a concentration camp on the orders of Heinrich Himmler, where Jewish hostages were held with the intention of exchanging them for German prisoners of war held overseas. Later still the name was applied to the displaced persons camp established nearby, but it is most commonly associated with the concentration camp it became as conditions deteriorated between 1943-1945. 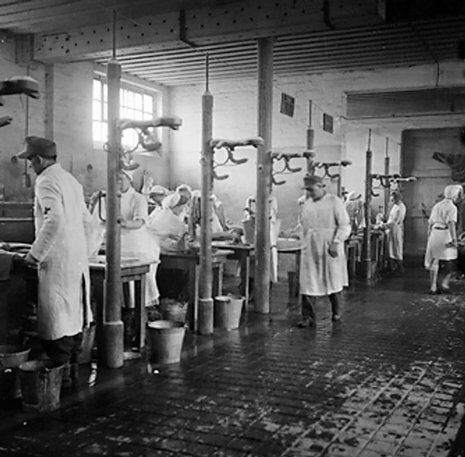 During this time an estimated 50,000 Russian prisoners of war and a further 50,000 inmates died there, up to 35,000 of them dying of typhus in the first few months of 1945. 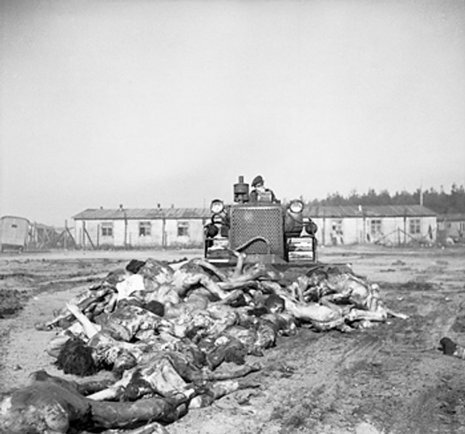 There were no gas chambers in Bergen-Belsen, since the mass executions took place in the camps further east. 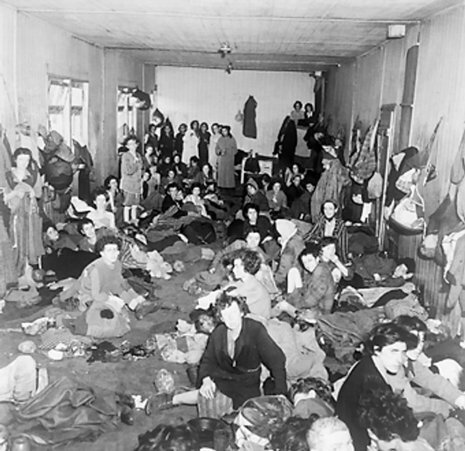 Nevertheless, an estimated 50,000 Jews, Czechs, Poles, anti-Nazi Christians, homosexuals, and Roma and Sinti (Gypsies) died in the camp. Among them were Czech painter and writer Josef Čapek (est. April 1945), as well as famous Amsterdam residents Anne Frank (who died of typhus) and her sister Margot, who died there in March 1945. The average life expectancy of an inmate was nine months.